While shopping with a friend, I came upon the delightful copper maple leaf that was my inspiration for Highlights of Autumn in Temari! It didn’t take me long to go through my Temari pattern sources to come up with the display of color and texture that you see before you. Each thread ball in this Autumn series has the same base shade of black. 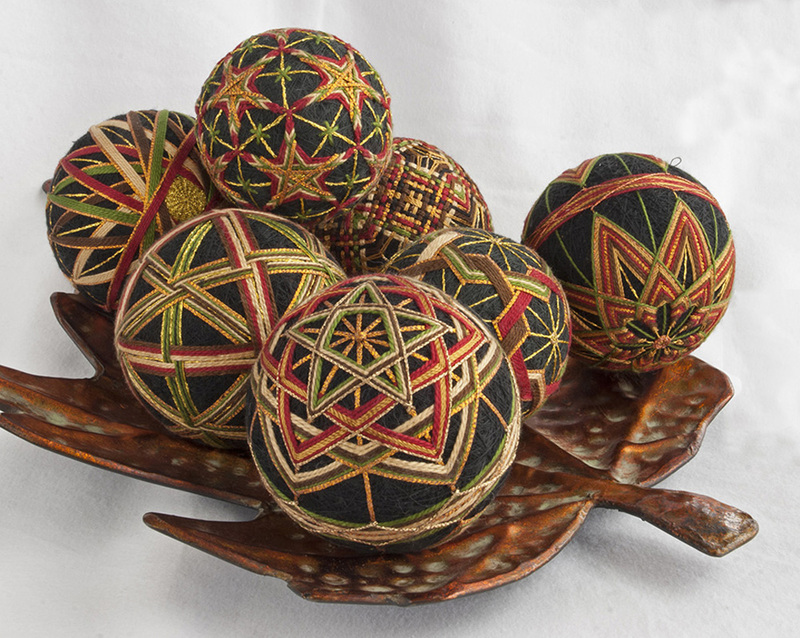 While I chose to use the same shades of tan, green, red, brown, copper and gold to stitch each Temari, I varied the patterns and development of color and stitches that were used to stitch each individual Temari.